One thing leads to another. But scrapbooking was the genesis of it all. Don't get me wrong, I was a creative before scrapbooking... crochet, sewing, quilting, embroidery, macrame, etc. ... selling at craft fairs with hand made dolls, teddy bears, and baby quilts ... in fact, I even did "scrapbooking" back in the days when it meant putting pictures on white backgrounds with a single line caption and no embellishments or *GASP* in magnetic albums! But Scrapbooking is where it all began. In 1999. With an album purchased at Disney World and supplies and stickers from Michaels. 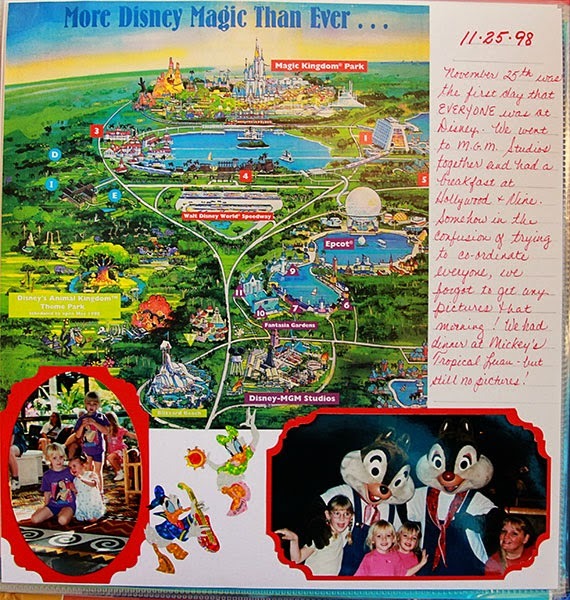 Because I wanted to capture in full detail our family's first trip to Disney in November 1998. An album full of photos cut into shapes with fancy edge scissors and covered with sticker sneeze. An album that, while it makes me cringe, still captures the wonder and joy of that first trip to Disney World. After that album, I learned about Creative Memories and acid free and a whole new world opened up. A wonderous world with endless possibilities and I was hooked. Now that I was scrapbooking, I wanted more and better photos. Jay was always the family photographer. But 95% of his photos were of just our three daughters, individually, in pairs, as a group. He had a singular focus. I wanted more. So I got into photography. But my skills at people photos leave a lot to be desired! I gravitated to nature photography and still life. 2001 began two successive rounds of being an independent consultant for start-up direct sales scrapbooking companies and having my "style" heavily influenced by the product lines presented. 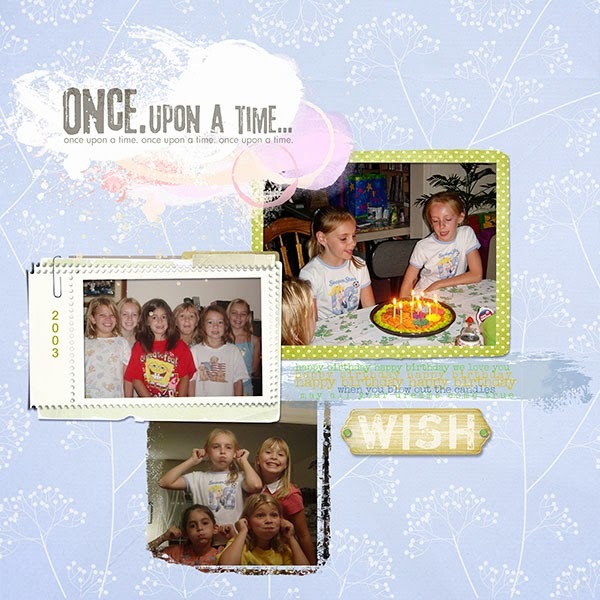 Scrap in a Snap featured bright, busy patterns printed on glossy cardstock with cartoony embellishments. Which made for fun happy pages. Top Line Creations had a more natural palette with lots of slightly-off-kilter geometrics. Which made for more subtle and beautiful pages. So, Cheri, what are you doing this year to pursue your love of scrapbooking? Why, thanks for asking! Right now I'm participating in LOAD215. The next LOAD is scheduled for October and there is a good chance I'll be ready for another round by then. I don't have any "scrapbooking" classes on tap for this year, although I may go back and finish up a class or two from my Big Picture list - we'll see. Ha! Just made a liar out of myself. Had this drafted and I hadn't signed up for anything, but I literally JUST used my 11 year anniversary gift card from work to sign up for a six month membership in "Champions" at Scrapaneers. So I'm hoping to improve my digital scrapping a bit and maybe learn my way around my new PSE13 - so much has changed since PSE10! I'm taking inventory of all my paper scrapbooking albums/projects - seeing what work needs to be done to finish off a few albums and what needs to be let go. Using the "Start Fresh" planner and then making plans to get those pages done! I'm attending a weekend scrapbooking retreat in mid-April. Hopefully another chance to work through a lot of the girls' School of Life albums. And possibly a day crop at the beginning of May. I'm slowly reviewing and purging my digital scrap stash. It is so easy to let things build up when they are "hidden" on your computer (although certainly not neatly put away... the files are a disorganized mess!). I admire so many styles out there, but I don't aspire to be the next Cathy Zielski or Shimelle Lane or May Flaum or [fill in the blank with your favorite scrapbooking celeb]. I just want to be the best Cheri Andrews. I want my pages to be recognizable as ME, not as a copycat somebody else. So I think this is a year of paring down, simplifying, finishing up and of discovering just where scrapbooking goes from here in my life. One thing is for sure... it isn't going away! 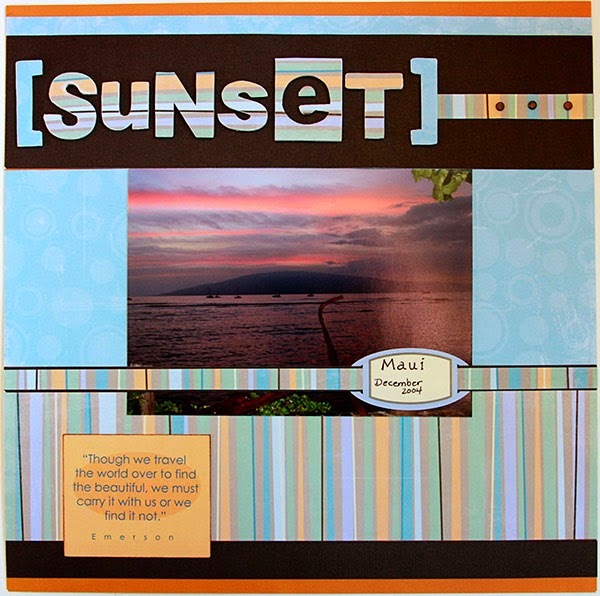 What are you doing to pursue your love of scrapbooking? What a fun post! 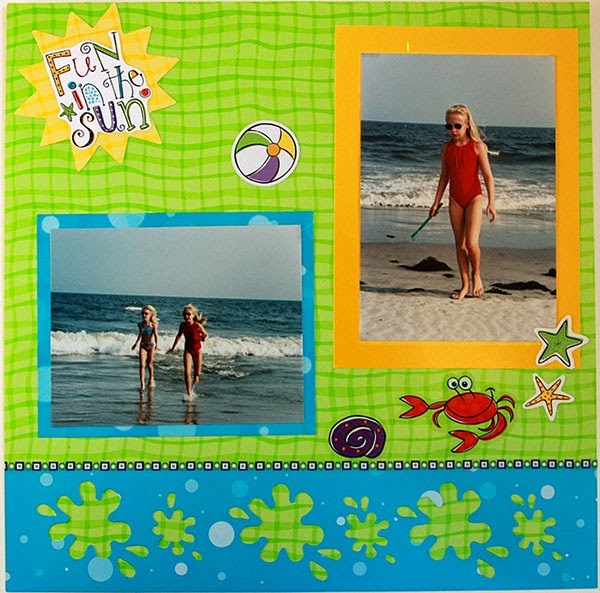 I really enjoyed reading and seeing how your scrapbooking has evolved! I'm a devoted Project Life girl now, and trying to finish up 2014. If I were still doing regular scrapbook pages, I'd be totally discouraged but I know I'll get caught up eventually. This post was such a great read. I've been thinking about where my scrapbooking has taken me lately too. 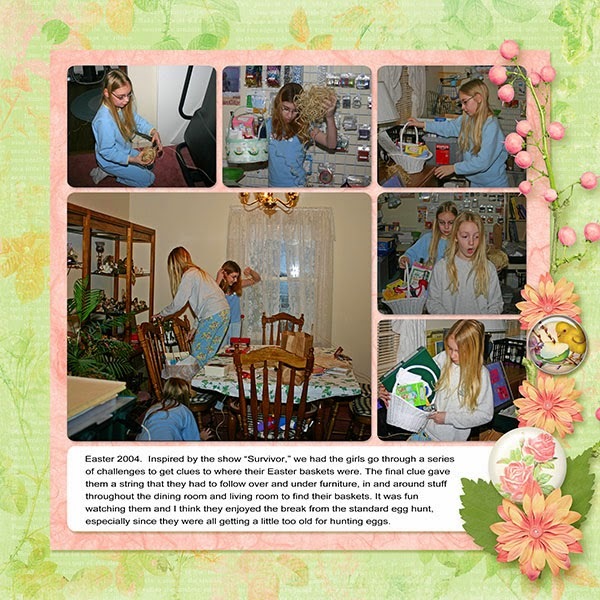 "A page about scrapbooking" is one of the prompts in an article I wrote for Jot Magazine. I've learned so much which hasn't anything to do with sticking down paper! 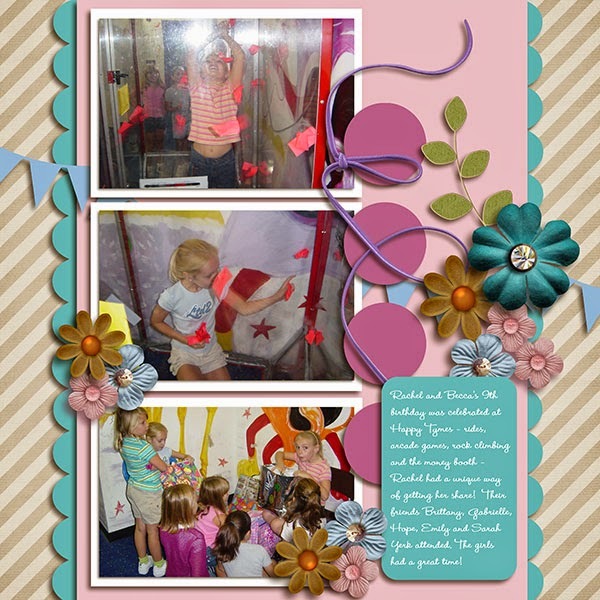 Love this post,Cheri....and it was a family 'holiday of a lifetime' to Florida that got me started on scrapbooking. I do less scrapbooking these days....but I can't see me ever actually stopping.These days I mainly scrap my grandchildren, vacations and 'events'. Love seeing your evolution of scrapbooking. I've been trying to simply and removing items I don't use. I just recently went through my digi supplies and trash many kits that just don't speak to me anymore. Great post! My scrapbooking history is quite similar. Recognize Scrap in a Snap and TLC! Still have quite a bit of paper of the later. Thanks for reminding me about slimming down the digi content! A job I need to do. Have a great day! 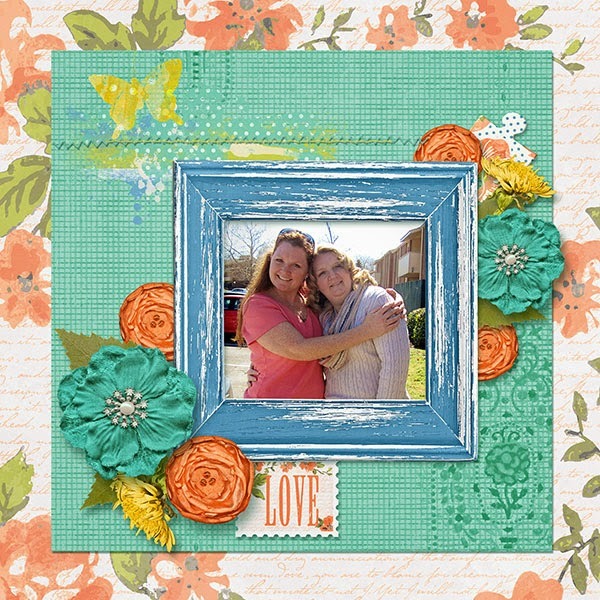 I've never tried digital scrapbooking and I don't think I ever will. I've always loved the hands on with paper and photos etc. But I don't scrapbook much these days. Sometimes I make photo books at Shutterfly, that is actually fun and their quality is very satisfying. But scrapbooking for me was the start to many other creative endeavors,those that you mentioned as well - mixed media, art journaling etc. Neat pages! I like that you're sticking to it. So loved your post today. My story exactly although I have really let my hobby slide last year. I signed up for Scrapaneers too hoping it will motivate me. Great post. I recognised the changes in style and products too. For me this year? Accepted that digit is easier for me now and determined to work through my physical stash to finish off some projects and make more cards. What a great post. I started as a creative memories girl and then became a club scrap girl. I'm still more the latter than the former, but I've developed my own style. Fairly clean and simple; I use art journaling to satisfy my messy cravings. I would really like to sign up for some crops to get through my pile of photos. I've always considered myself a storyteller. So, of course, scrapbooking quickly became a way for me to tell my stories with the photos being the back up material for them. Storytelling is my passion which I've shared with many over the years. I continue to have a core group of ladies willing to follow me in order to get their stories told. That's where my scrapbooking continues to lead me. The products may change, but my basic premise has not. That is a great post Cheri. I can relate to so much of it... the early pages that I look back and compare with what I do not. But we wouldn't be where we are now if we didn't start somewhere, and my temptation to pull those a part and to redo them has passed as I now try to embrace them as part of my progress and learning. I actually quite liked your first pages and I guess we are always more critical of our own. As for digital clutter and disorganisation.... I'm so there too!! I have about 4 years of photo downloads that need filing and organising (deleting duplicates and those that don't hit the mark). So I'll be joining you this year in the effort to get on top and back in control. Perhaps we can poke each other once in a while and see how we are getting on!